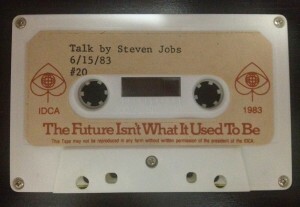 In 1983, Steve Jobs gave a speech to a relatively small audience at a somewhat obscure event called the International Design Conference in Aspen (IDCA). 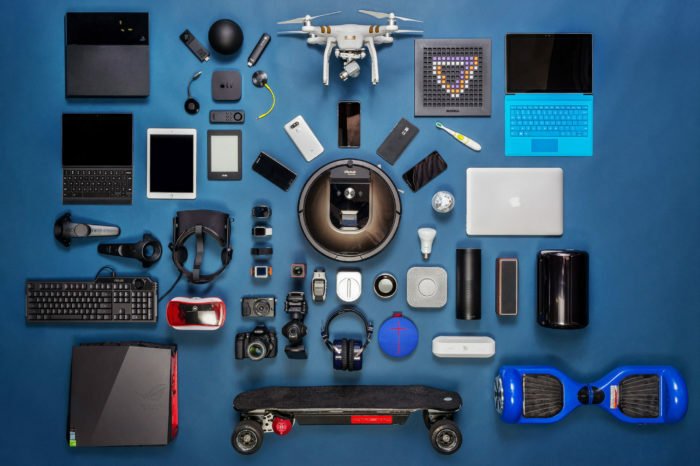 The theme of that year’s conference was “The Future Isn’t What It Used To Be”, which looking back seems all too fitting. Circumstances being what they are, very little is available on the Internet regarding this Steve Jobs speech. In my extensive research, I could find only one recording of this talk, which itself was just posted in June of this year. This talk received a fair amount of attention at the end of August, after it was mentioned in a Smithsonian Magazine article written by Walter Issacson, Jobs’ biographer. However, the recording currently available is not complete. It ends after about 20 minutes, which corresponds with the end of Jobs’ prepared speech. Left out is almost 40 minutes of a follow-up question and answer session where Jobs offered incredible insight into his vision of future technology. I now present this recording to the world so that it may be preserved indefinitely. First, I’d like to thank one of my oldest clients, John Celuch of Inland Design. He personally attended this speech almost 30 years ago and was the one who gave me the recording I now share. Attendees of the speech received a cassette tape copy and he held on to it all these years. He found the tape sometime last year and thought I might like it. He was absolutely right, but because I was in the middle of a move (and also due to a lack cassette tape players available to me!) I set the tape aside and put off listening to it until this summer. Had I known what was in this recording, I would not have waited so long! Incidentally, John met Steve Jobs at this conference. 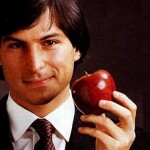 During their interaction Steve Jobs gave him something to put in a time capsule that was buried at the conference. To our knowledge this time capsule has yet to be dug up. I’ll share more on this in a future article. Here is the cassette tape I digitized this recording from. I’m not sure what the #20 means. After listening to the recording, I did some research in an attempt to find some pictures of this speech. I only found one source of pictures, courtesy of Arthur Boden via his son Ivan’s Flicker account. 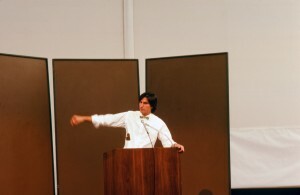 Arthur had also personally attended this speech and took some pictures of Steve Jobs giving his talk. His son uncovered them while scanning some old slides and made them available on his Flicker account. To my knowledge, these may be the only known pictures of this speech. 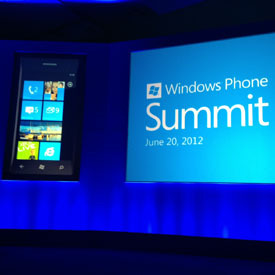 If anyone has any other pictures of this talk or any other Steve Jobs sightings at the conference, I’d love to know. Regarding the speech, it is amazing to hear Steve Jobs talk about some things that were not fully realized until only a handful of years ago. This talks shows us just how incredibly ahead of his time he was. I’ve listened to the entirety of the recording a few times now and have taken extensive notes, of which I will further elaborate on in future blog postings. 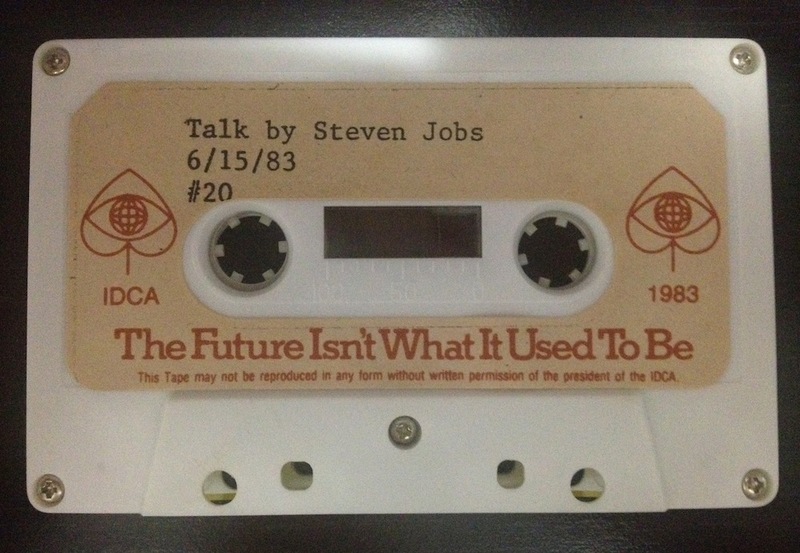 But for now, here are a few of the highlights – and remember – he is speaking in 1983. To put that in context, the Macintosh had not yet been introduced, Apple still thought the Lisa was going to be a hit, and the IBM PC was the second most popular personal computer behind the Apple II series. He mentions that computers are so fast they are like magic. I don’t think it is a coincidence that he called the iPad “magical”. 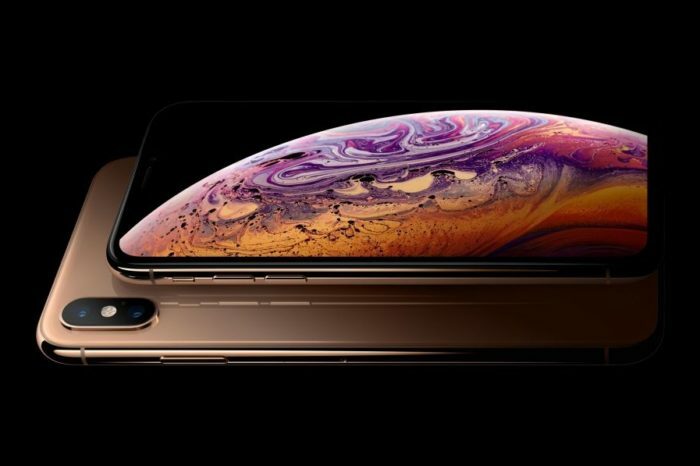 He says Apple’s strategy is to “put an incredibly great computer in a book that you can carry around with you that you can learn how to use in 20 minutes”. Does that sound like anything we are familiar with today? And they wanted to do it with a “radio link” so that people wouldn’t need to hook it up to anything to communicate with “larger databases” and other computers. Hmmm …. Right at the end of the Q&A session, a question is asked about voice recognition, which he believed was the better part of a decade away from reality. Given the context of Siri today, it is interesting to hear him talk about the difficultly of recognizing language vs voice because language is contextually driven. He says, “This stuff is hard”.